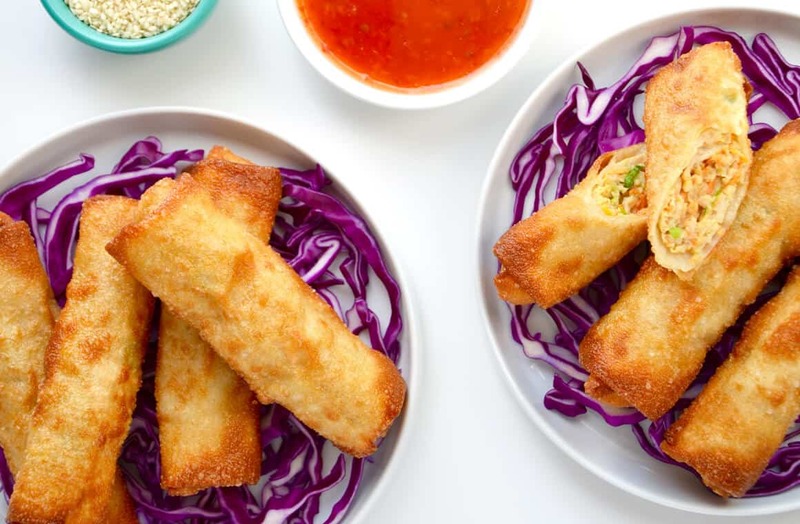 We are kicking off our latest installment of our weekly Meal Plan series. 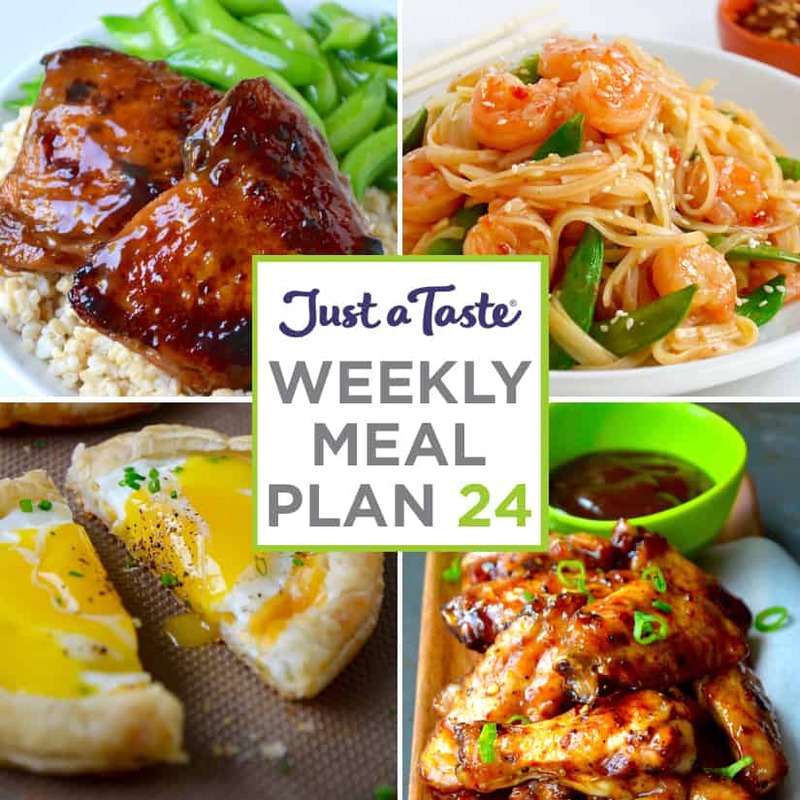 This week features flavor-packed baked chicken thighs, quick-fix sweet and sour shrimp stir-fry, a cheesy breakfast favorite and the secret to extra-crispy chicken wings. 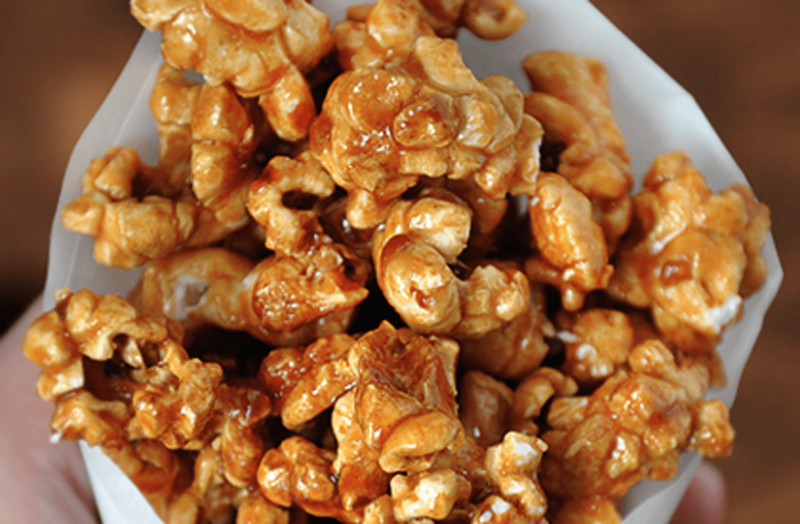 Plus, sit back and snack with quick and easy homemade caramel corn! Sweet meets tangy in this make-ahead entrée starring baked chicken thighs, and don’t forget quick and easy Parmesan rice to complete your meal. 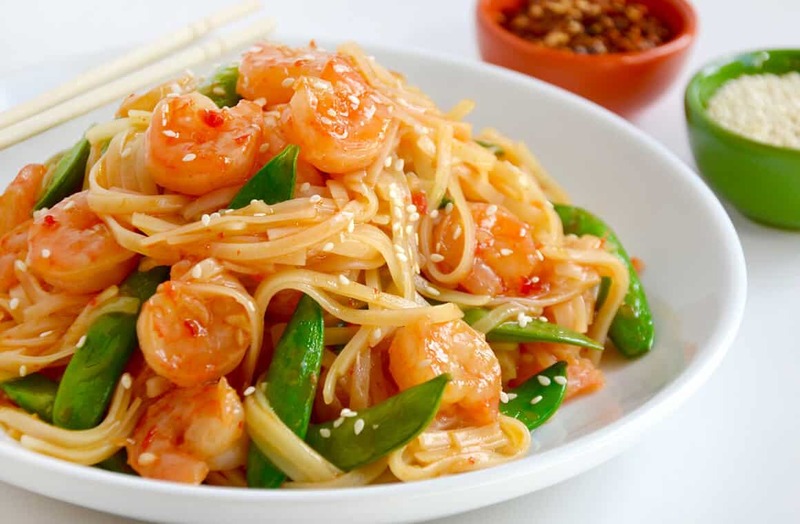 Sweet and sour shrimp stir-fry is the perfect meal for hectic weeknights. And don’t miss how to satisfy your sweet tooth in 5 minutes or less with healthy Greek frozen yogurt starring your favorite fruit. 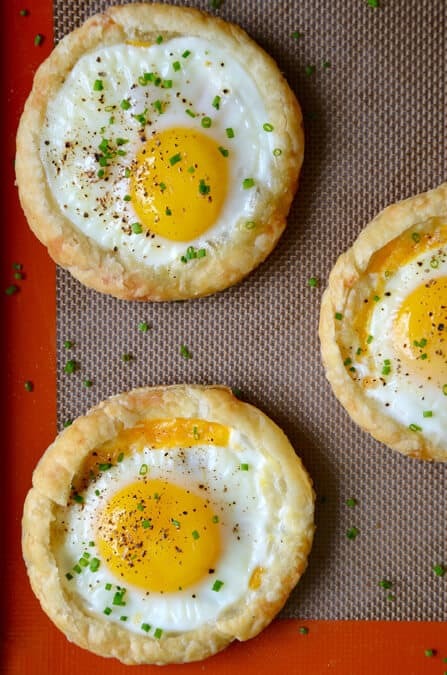 Preheat your oven and enjoy breakfast for dinner with the easiest cheesiest baked eggs made in puff pastry. 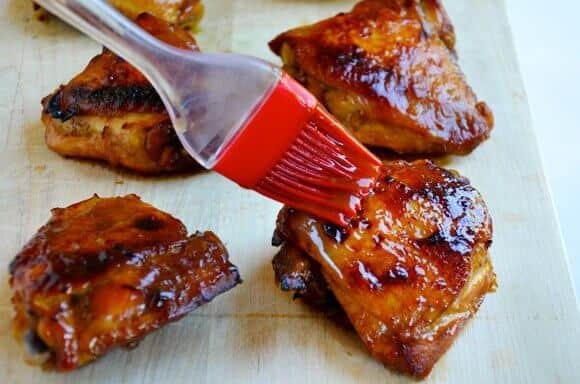 Only five simple ingredients and 50 minutes stand between you and finger-lickin’ crispy baked Asian chicken wings. 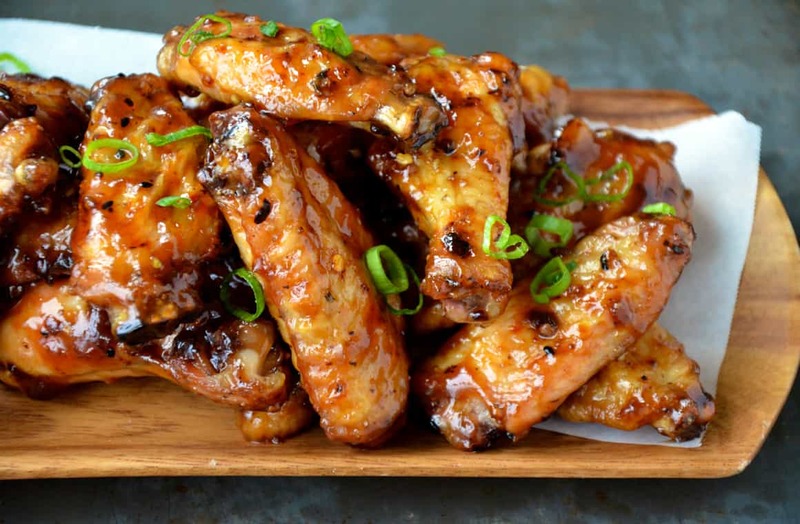 Keep the flavor train rolling with Crispy Baked Orange Chicken Wings and Crispy Baked Teriyaki Chicken Wings. Homemade caramel corn is a sweet and crunchy treat the whole family will love to snack on!